CBD Oil and Pregnancy - How Safe Is It? Think of a time when if you’re a woman, you’re most likely to experience back pain, nausea, and anxiety? It would be during pregnancy, right? It’s no surprise then we’re often asked if it’s ok to take CBD oil during pregnancy. We ourselves cannot give any medical advice, but we can look at what research says so far about CBD oil and pregnancy. CBD oil is a nutritional supplement, containing cannabidiol (CBD), a naturally occurring molecule found in hemp. Hemp is one variant of the cannabis sativa family, and herein lies the reason why much doubt exists around whether it’s ok to take CBD oil during pregnancy. The difference between the classification of hemp and cannabis lies in the amounts of THC (tetrahydrocannabinol) they both contain. In fact, hemp by law must contain less than 0.2% THC. THC is the compound in cannabis responsible for the high associated with recreational cannabis. If a cannabis plant contains more than 0.2% THC, it is no longer hemp and is classified as a drug or controlled substance. As THC crosses the blood brain barrier, scientists believe high THC levels may have a damaging effect on the development of foetuses’ brain. In fact, one meta-analysis concluded that exposure to THC during pregnancy, may cause low birth weight and a greater chance of admittal to a neonatal unit. However, another study noted no significant change in babies of mothers who consumed THC during their pregnancy. So, it’s fair to say, the jury is still out and more research needs to be conducted. For a totally THC free product, we recommend our Hemp Flower Tea, delicious on the palate and high in CBDA. Cannabidiol itself does not cause any intoxicating effect because it doesn’t activate the same receptors in the brain and central nervous system. Instead, CBD is thought to lessen feelings of anxiety by binding with a type of serotonin receptor. Unfortunately, very few studies exist examining the safety of CBD and pregnancy. And the fact that CBD is found in cannabis sativa, means that most doctors will advise expectant mothers against taking CBD oil. Pregnancy is a time when all health professionals err on the side of caution, avoiding any chance that an action they take might harm the mother or the foetus. This not only includes what medication a doctor prescribes, but even giving a pregnant woman a massage in her first trimester. So, it’s perfectly normal that any doctor would shy away from recommending a pregnant mother takes a compound, natural or otherwise, that hasn’t been sufficiently tested on a large section of the population. That said, CBD does have a generally good safety record, with the World Health Organization declaring CBD free from side effects and lacking in any potential for abuse. How about taking CBD oil while breastfeeding? Should the same caution be applied? Yet again, there is next to no research examining whether CBD oil and breastfeeding causes any harm to a baby. It’s true that compounds in cannabis and hemp can be passed to a baby through breastmilk, but just in the same way as caffeine from a cup of coffee or alcohol from a glass of wine. It’s also true that special cannabis-like compounds made by the body called endocannabinoids are present in breast milk. Endocannabinoids along with special receptors in the brain, nervous system, and immune system, comprise a vast communication network in the body called the endocannabinoid system (ECS). The ECS is known to regulate appetite, reproduction, stress, the immune system, pain, memory, and mood. Scientists know that in foetuses, the endocannabinoid system develops just before week 14 of gestation. They also know that the ECS is directly involved in foetal development and plays an important role in encouraging appetite in newborns. Cannabinoids, like THC and CBD, interact with the body’s endocannabinoid system, but still, not enough is known about what happens during pregnancy or after the birth of a child when they are consumed. So, until further research is carried out, it is a personal choice for each expectant or breastfeeding mother about whether they wish to take CBD oil. Anecdotal accounts suggest no ill effects, but ultimately we don’t have the data to know for sure either way. But if you do decide to take CBD oil during pregnancy, choosing CBD extracted from organic hemp such as Spirit of Hemp full spectrum CBD oil is a must. 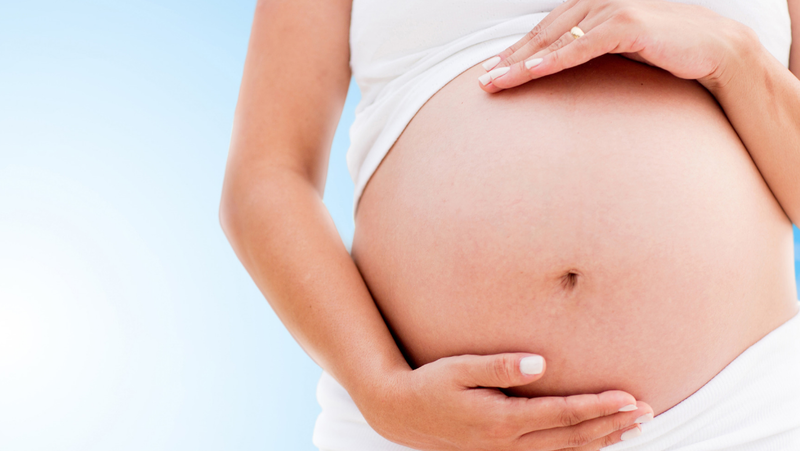 If you’re pregnant and considering taking CBD oil, or indeed have been taking CBD oil for your own health and now find you are pregnant, why not have a frank discussion with your midwife. You could even show her this article if like most health professionals, she is lacking in knowledge about CBD oil and pregnancy. Why not join our Spirit of Hemp Facebook Community and connect with others who may have used Spirit of Hemp during pregnancy.